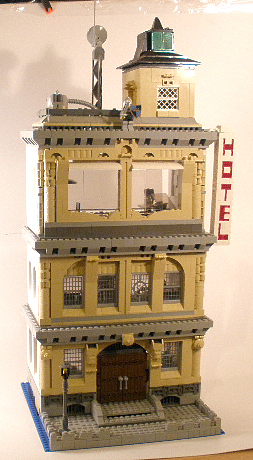 Brick Town Talk: Hotel - LEGO Town, Architecture, Building Tips, Inspiration Ideas, and more! A bit of a messy building if you ask me. There are great details various places, but the building lacks harmony. Especially the huge windows on the second floor are a bit off. And the heavy door, which would give any minifig backspasm'.